Last Saturday I went on maternity visit at Evelien’s. 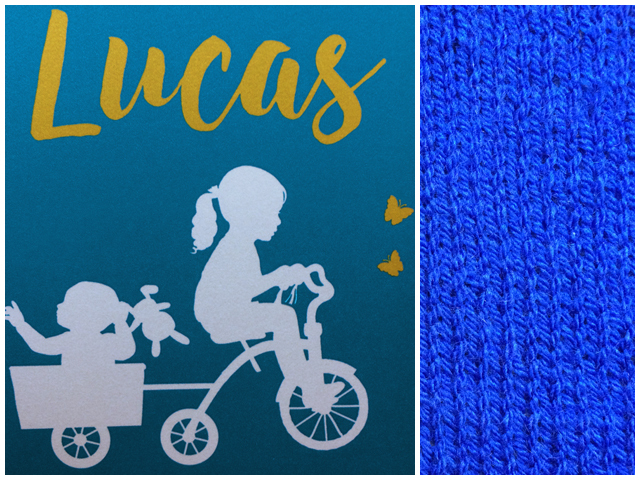 At the beginning of February, she gave birth to her second baby, a boy named Lucas – code name Mini. I already knew it was going to be a boy, which gave me pause to figure out what to make. For her little girl, over a year ago, I made a ballerina doll, and even though it’s in fashion now not to stereotype based on gender, I found it a little strange to make a ballerina doll for her boy too. But what was I going to make then? Just like me, Evelien is a huge Harry Potter fan, so chances were she was going to like this. I first intended to use Gryffindor colours (red and gold), but I knew Evelien didn’t like red all that much. I also knew that the baby’s room was going to be dark blue with yellow accents and since I’m partial to Ravenclaw myself, I eventually chose blue and bronze for this project. And once the birth announcement arrived, I knew I had chosen well! 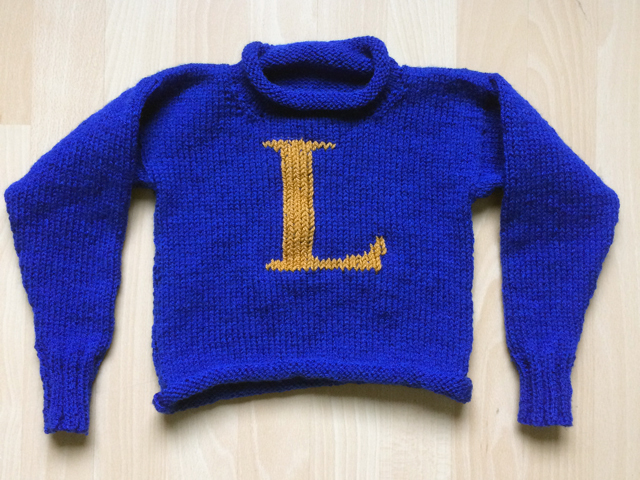 Of course I didn’t know the name of Mini in advance (even though I suspected), so I couldn’t knit in the letter in advance. 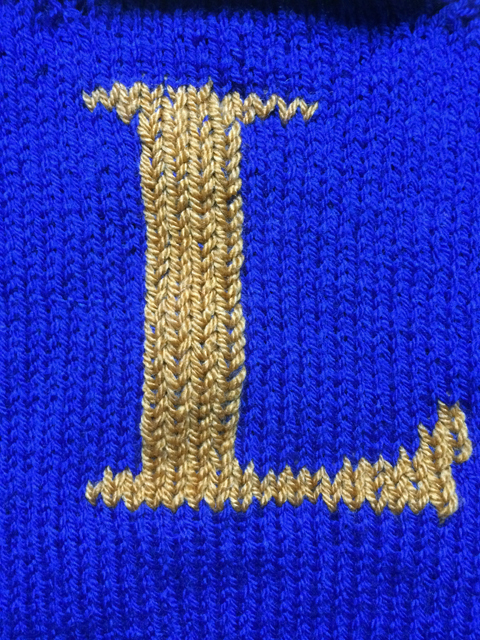 But since changing colour in knitting often creates weak spots in the fabric, I decided to duplicate stitch the letter afterwards. The embroidery hasn’t turned out as neat as I wanted, but I do like how the letter pops. If I were to make this pattern again, I would try adjusting it to knit in one piece, since the seeming makes it look less professional, in my opinion. But in the end I’m happy with the result. And I think Evelien was too.